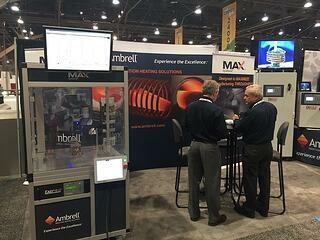 Ambrell, an inTEST Company and a leading manufacturer of induction heating systems, will exhibit at FABTECH. The event will take place November 6-9 at the McCormick Place in Chicago, IL USA and Ambrell representatives will be present in booth B10020. At the booth, MAX -- the world's first induction heating cobot -- will be on display. FABTECH draws over 50,000 professionals from across the United States to learn about the latest advancements in manufacturing. Over 1,700 companies exhibit in areas such as metal forming, fabricating, welding, and finishing.